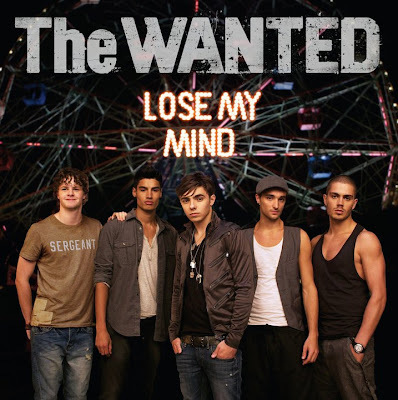 I may not have been the BIGGEST fan of The Wanted's single "Heart Vacancy" (which BTW has grown on me considerably since the first listening) but third single, "Lose My Mind" takes me back to what I loved about the boys in their first single "All Time Low." The video was filmed at the iconic Coney Island and features the boys in all their hotness, doing their thing, dancing and singing. The video being filmed in New York only makes me wish they would release some tuneage over on this side of the pond. In due time I suppose. "Lose My Mind" showcases their individual vocal talents in the form of a fun, up-tempo track, ripe for the remixing. And remixed this song was...by UK remix extraordinaires 7th Heaven and Cahill. BRILLIANT! The boys (Max, Siva, Jay, Tom and Nathan) have been doing exceedingly well with their debut album. First single "All Time Low" went all the way to the top of the UK singles charts, single #2 peaked at...well...#2. As for their self titled debut album...well it debuted at #4. Not too shabby for a new boy band fresh on the scene. If their past success is any indication, "Lose My Mind" should deservedly go top 5. It's a quality pop song sung by a quality pop group. Check out the boys doing it live on last weekend's X-Factor results show. Ace job boys! "Lose My Mind" is out in the UK on December 27th. No matter! According to Lewis "it's all about 2011!!" In response to a Tweet where I asked him about his new album, Lewis went on to say "It'll be out next year. We've been holding back and perfecting...the UK's not been ready yet...but pop's fighting back." Fighting back it is! Can't wait to hear the new album. It sounds like the wait will be well worth it. "Hopefully it'll be well received, so much of my heart and soul is in it." In the meantime (also according to Lewis via Twitter)...we have a 2011 Pierre Lewis calendar to look forward to. Scope out the above photos to get an idea for what we can expect. Sign me up! Happy New Year indeed!